REMINDER: Review NAEA's Terms & Conditions Page and ensure your NAEA membership is current before submitting. You must have a current NAEA Membership. Limit ONE submission per member. Submission must be made digitally through the 2018 NAEA Member Exhibition ArtCall Portal. Each submission must be accompanied by an Artist’s Statement: In 50 words or less, describe your creative process, what inspired this artwork, or why you believe that art matters. Images of work must be submitted as a JPEG or PDF file. Image minimum length on longest side: 540 pixels | Image maximum length on longest side: 4600 pixels. If selected, 2-D works should be framed with the correct hardware for hanging. Canvases do not need to be framed, but must be ready to hang. 3-D works that need to be hung/mounted should be shipped in ready-to-hang condition and along with any special tools necessary for installation. Click the REGISTER button in the top right corner of this page to create an ArtCall profile. If you've submitted to an NAEA exhibit through ArtCall in the past, log in with your existing ArtCall login credentials. Click the "New Submission" button. Enter your submission details and credit card payment information for the submission fee of $6.00. Upload an image of your artwork. Receive a confirmation e-mail after you complete the submission process. Submission deadline: August 13, 2018 at 11:59pm ET. 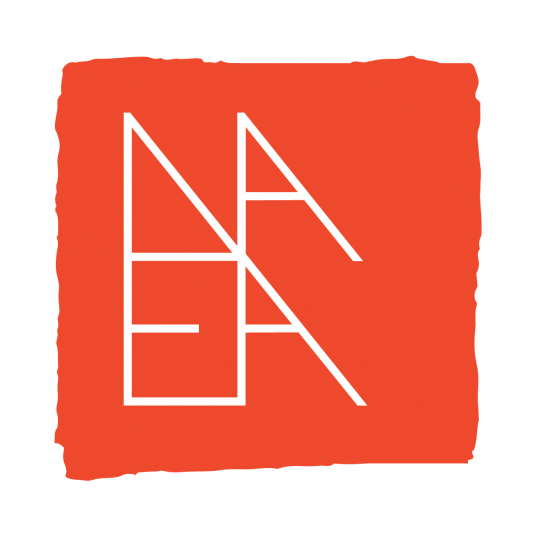 Up to 60 works will be selected for exhibition at the NAEA Studio & Gallery and up to an additional 60 works will be selected to be featured in the NAEA Virtual Gallery on NAEA's website. Each submission will be reviewed in the five areas below by a select number of jurors and scored on a star rating scale of 1-5 stars (1 being the lowest and 5 being the highest). The total stars awarded by each juror will be averaged for an overall score value. Notification e-mails will be sent on August 28, 2018. Members whose artwork is selected for feature in the NAEA Virtual Gallery will receive a separate e-mail notification. This information applies only to works selected for inclusion in the exhibition. Each member whose work is juried into the gallery exhibiton will receive an letter of recognition, a certificate of participation, and a press release to share with local media. If selected, 2-D works must framed with the correct hardware for hanging. Canvases do not need to be framed, but must be ready to hang. 3-D works that need to be hung/mounted should be shipped in ready-to-hang condition and along with any special tools necessary for installation. All selected works must be received no later than September 18, 2018. Artwork may be picked up in person or shipped back to the artist (using the return postage provided by the artist) after January 14, 2019. Contact Mark Bravante, NAEA Member Services Coordinator at MBravante@arteducators.org.